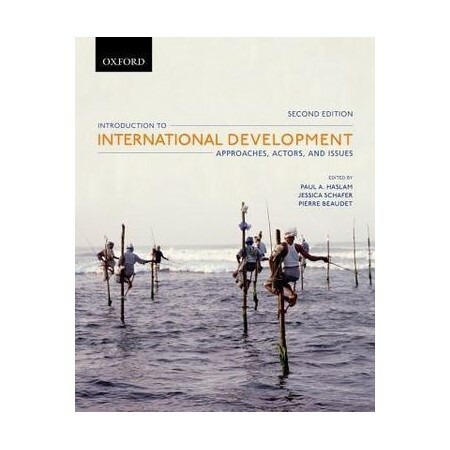 Developed specifically for international development students from diverse backgrounds, Introduction to International Development: Approaches, Actors, and Issues is renowned for providing a common theoretical toolkit that is accessible to students who may be encountering post-modernism and post-colonialism for the first time. To reflect the multidisciplinary nature and varying perspectives in the field, this text includes 27 articles by leading scholars and practitioners from backgrounds as varied as geography, political science, women's studies, and anthropology. Newly updated, with a new epilogue by the editors, and featuring a new chapter on urbanization, the second edition continues to encourage students to engage with real-world issues. Divided into three parts that introduce students to theory, forces in development, and current issues in development, respectively, the text's 27 chapters can stand alone, thus allowing instructors the flexibility to structure their course as they wish. Featuring strong pedagogical features that assist students in applying newly learned theories to real situations, Introduction to International Development also includes running boxes highlighting real-world cases, which reinforce the relevance of the subject matter. Paul A. Haslam; prior to joining the University of Ottawa, also worked at the Canadian Foundation for the Americas (FOCAL). His teaching and research interests span both international development and international political economy. His current research focuses on corporate social responsibility, state-firm relations, and the international regulation of foreign direct investment in Latin America. Jessica Schafer is a professor in the School of International Development and Global Studies at the University of Ottawa. She has conducted research for the United States Agency for International Development, the Overseas Development Institute, and the Department for International Development of the United Kingdom. Pierre Beaudet is a professor in the School of International Development and Global Studies at the University of Ottawa, with 25 years of experience in international development as a researcher and manager of various programs in Africa, Asia and Latin America.